Exercise that works WITH your body, not against it. The Autoimmune Strong workout program is an online fitness program designed to help you exercise safely and effectively in the comfort of your own home, without kick-starting a flare-up. With just 15 minutes a day or less, Autoimmune Strong can help you build strength and flexibility while reducing your pain and exhaustion. 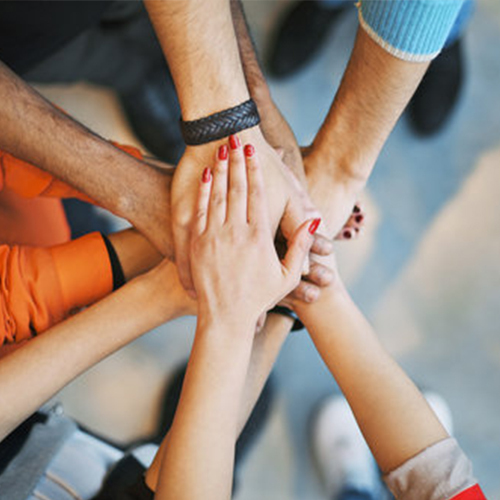 We want to help you to feel good in your body again! 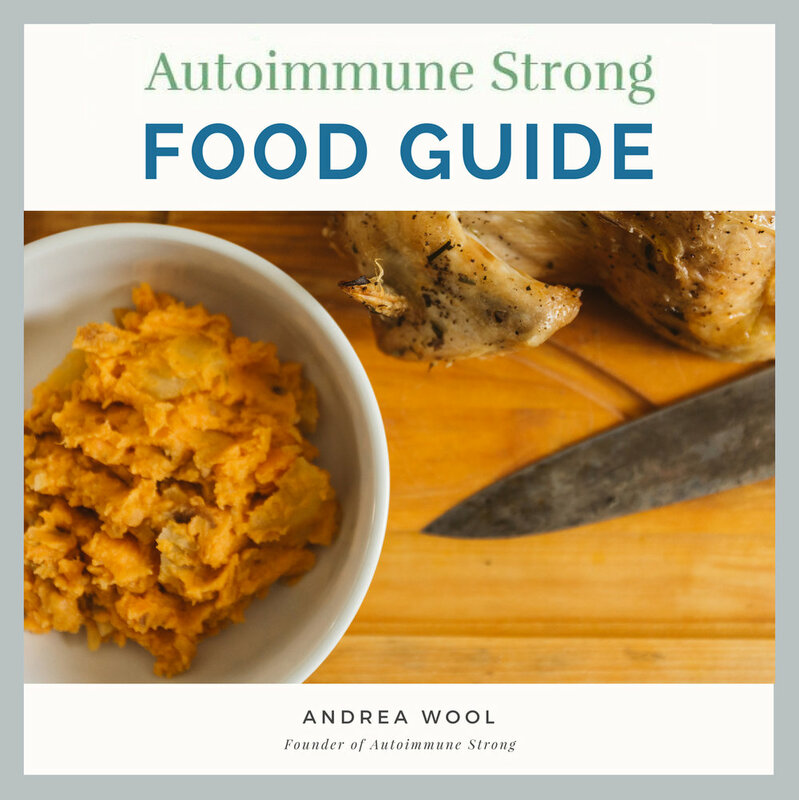 Autoimmune Strong’s philosophy is “strength for everyday life”. The goal is to teach your body how to move properly during everyday activities like climbing stairs and carrying groceries, all while staying safe from pain and flare-up. This exercise program is uniquely designed for people living with chronic pain- and it’s designed to start simple and get more challenging over time, so your body can adapt to exercise pain-free. 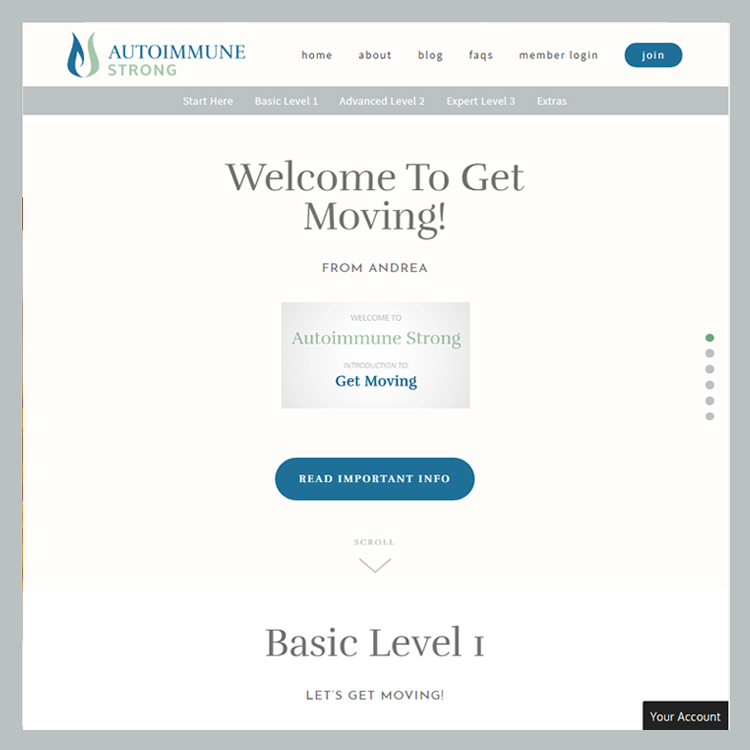 Get started with the 7 day free trial today, and start your journey to being autoimmune strong today!